Some WIP eye candy for you today! This is my cotton/linen/voile test mini. 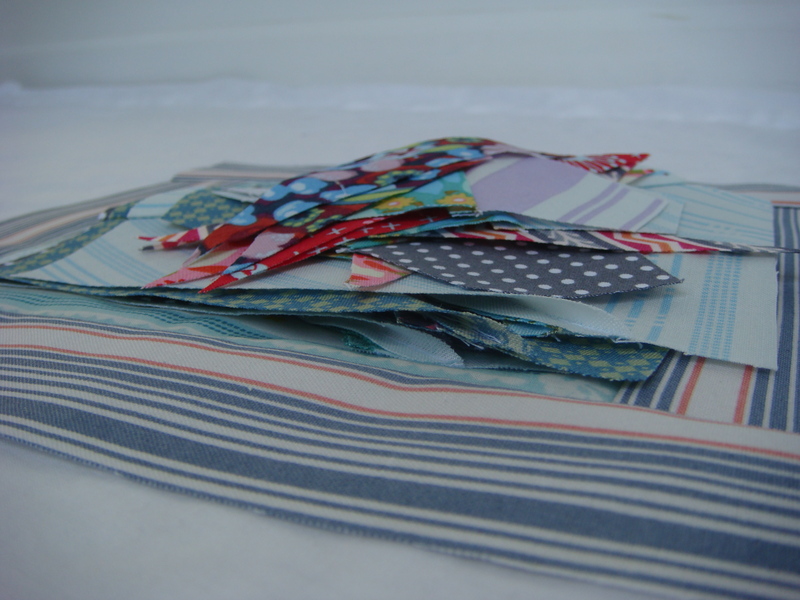 My objective is to work with voile and a linen blend for the first time and see how they work together with regular quilting weight cotton. 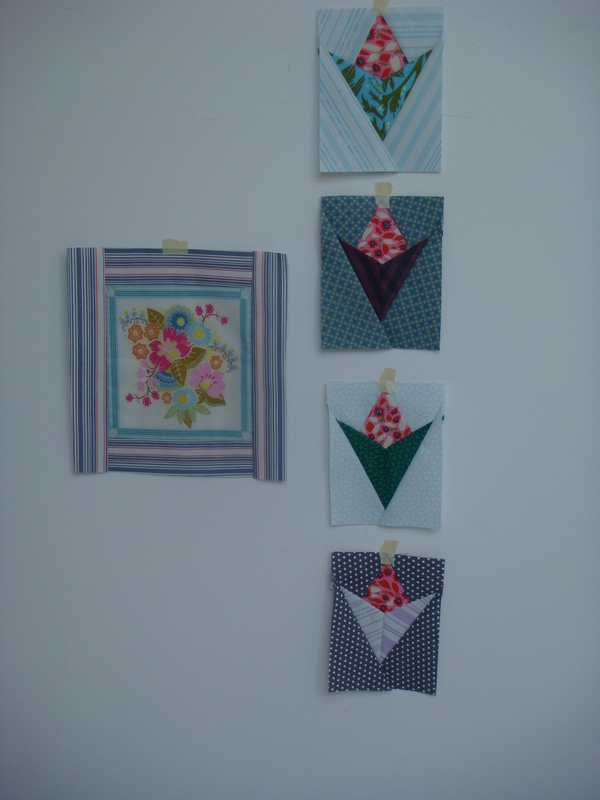 As you can see I don’t shy away from a challenge: I’m doing some pretty fussy piecing (y seams!). 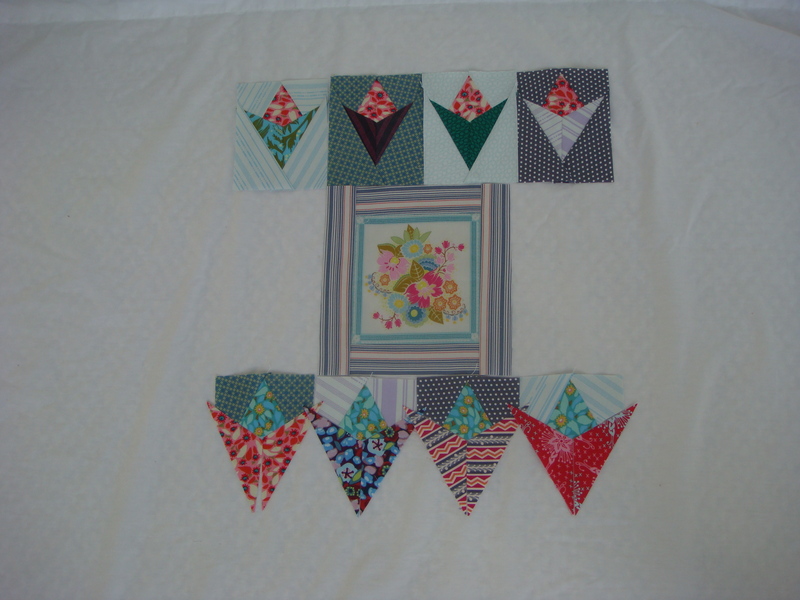 I thought about keeping it simple with square patchwork but I thought this would be a more helpful test. I will tell you that so far I love working with the linen blend but I find the voile pretty challenging! I’m hoping to have a full report in time for Finish it up Friday – including how everything behaves in the wash! Linking up today with Work in Progress Wednesday. This entry was posted in Uncategorized and tagged WIP. Bookmark the permalink. cute! i love that framed piece in the center!